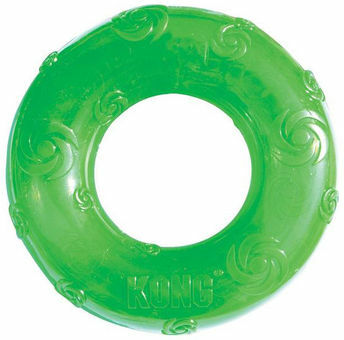 Kong Squeezz are made of a special thermo-elastic rubber material. Toys are well hidden beeper. The toy can be used either indoors as well as outdoors.